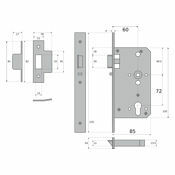 Forming part of our Euro Modular range this heavy duty Mortice Nightlatch case can be fitted as an alternative to more common surface mounted "Yale" type locks on entrance doors or in conjuction with a panic latch on emergency exit doors. 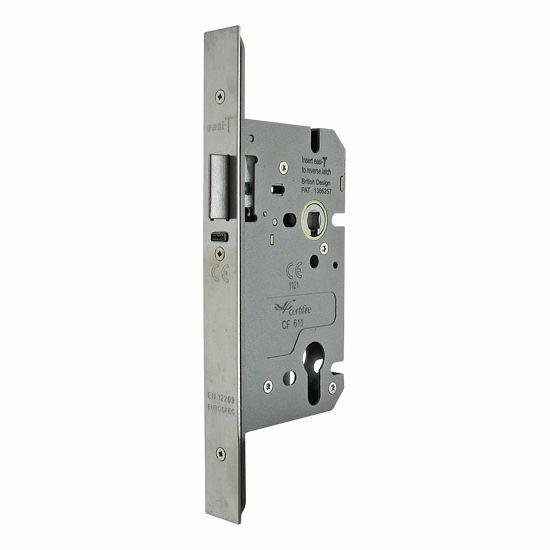 The sprung latchbolt is withdrawn externally by key using a Single euro profile lock cylinder barrel and internally by a half set of lever door handles or suitable panic exit device. 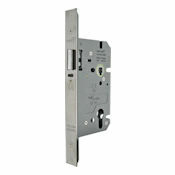 The automatic anti-thrust bolt prevents manipulation of the latchbolt on outward opening doors. Suitable for use with electric strike plates on communal entrance doors and can be fitted to fire rated timber door sets in accordance with current regulations. Lever handle furniture for this lock should be fitted with a suitable half spindle. For high security, non emergency applications a suitable deadlock should also be fitted. One nightlatch case complete with faceplate, frame keeper plate and all fixing screws. 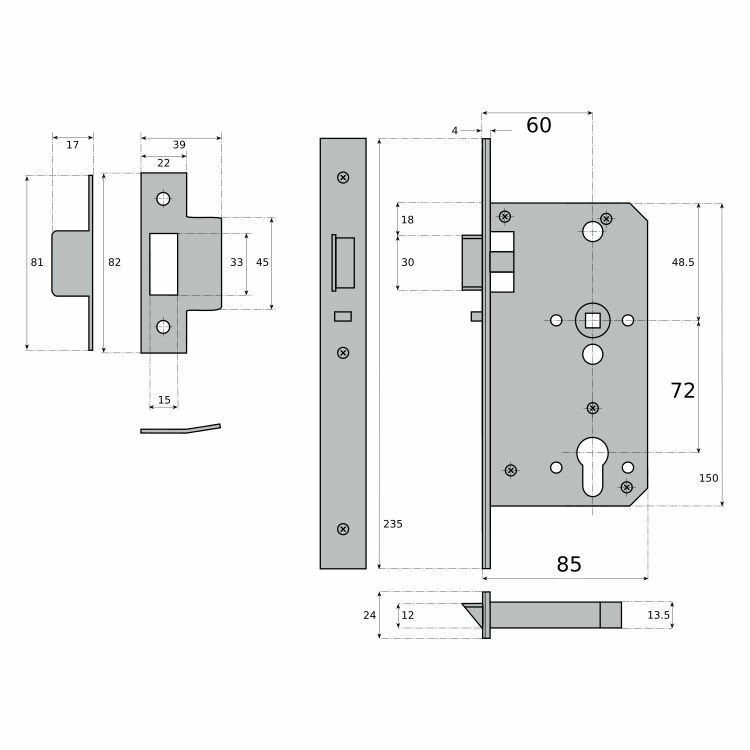 Euro profile lock cylinder should be ordered separately.